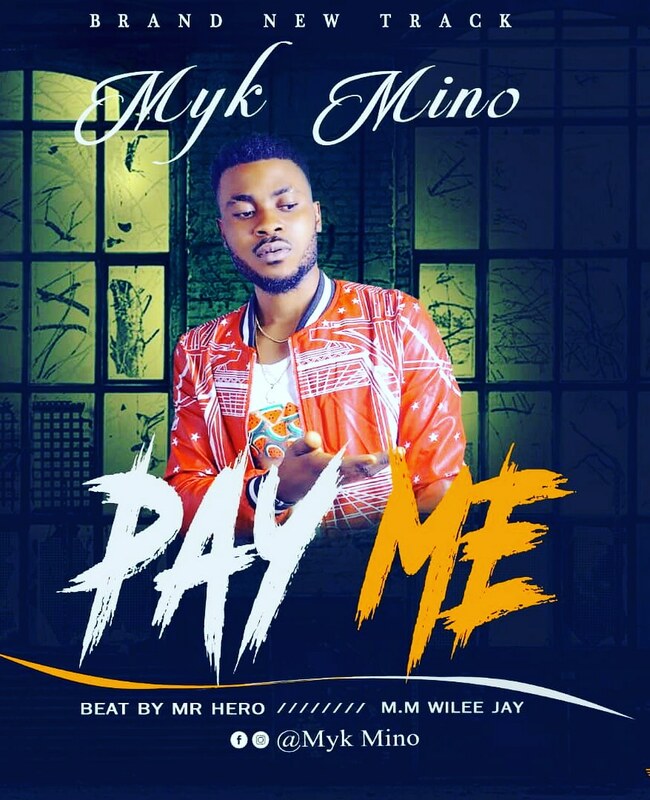 African sensational singer, rapper and unsigned music artiste Myk Mino has officially decided to dash out his most anticipated hit single "Pay Me". The music that is been talked about on Social media since its anticipation, the "Pay Me" single is not just a song but it's a prayer point to everyone who works everyday and wants to make it bigger, to all hustlers round the world, this is a song to motivate you and give you extra strength to focus more and more. If you ever loved the song Wetin We Gain By Victor Ad, then you will definitely love Pay Me by Myk Mino cus this one is something different and bigger than that Wetin We Gain. The Take Care Of You crooner just used this new hit single to prove that he 'Myk Mino' has all it takes to make way for himself in the music industry at large. He who works needs to chop and every work that doesn't pay you needs this special music well arranged by Myk Mino and put together by Mr Hero the baddest producer, Mix and mastered By Sleemboo Mix.